Meet Olga, our newest Ponte person. 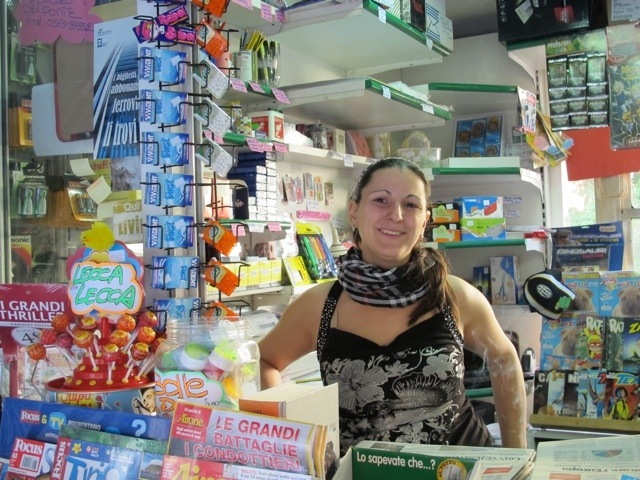 She has taken over the little news kiosk in Ponte a Serraglio. 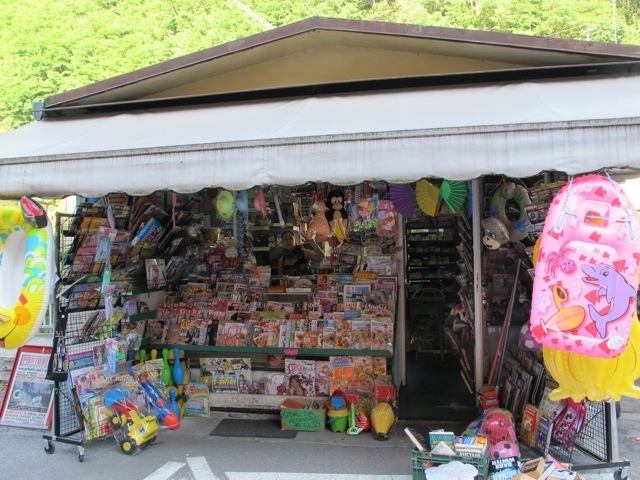 As well as newpapers, magazines and small gift items, you can buy bus and train tickets at the kiosk. Good luck with your new business Olga. This entry was posted in People, The villages of Bagni di Lucca and tagged Bagni di Lucca, Italy, photography, Ponte a Serraglio, travel, Tuscany by Debra Kolkka. Bookmark the permalink. Thank you Debra – I know i can rely on you to let me know who is who! Say hello next time you go, Olga is very friendly. It is good to see someone friendly there after the last grouch. And I know how welcome she will be Debra. You’ll be pleased to see Olga on your return. Won’t be long! It is great to have a friendly face at the kiosk. What a cheery looking shop! The little kiosk is an important part of the village. Thanks for the information, Debra. I wish Olga all the best. Olga does look welcoming and that kiosk must surely be the kiosk with the mostest! We all hope she does very well. Not before time – this has to be better than before – where is Olga from? I think she is from Lucca. She seems to have settled in well.